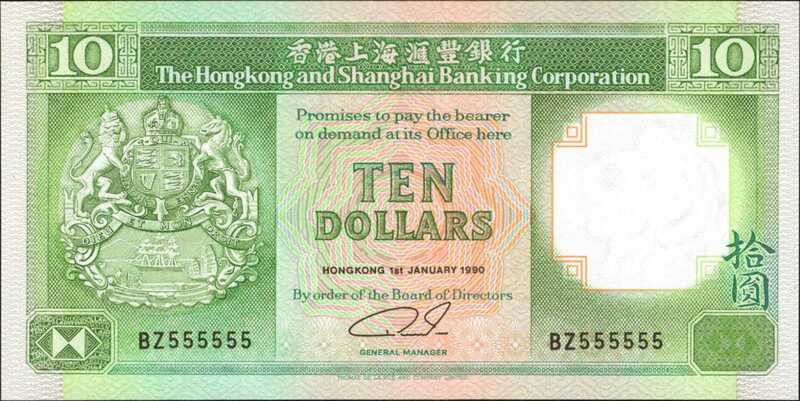 1990年香港上海汇丰银行拾圆。西瓜色纸钞。序列号为BZ555555。Uncirculated.HONG KONG. Hong Kong & Shanghai Banking Corporation. 10 Dollars, 1990. P-191c. Solid Serial Number 5. Uncirculated.A watermelon colored note with a solid serial number of BZ555555.